Your carpet has collected tons of grime, dust mites and other allergens? If so, our company’s carpet cleaning service in W13 West Ealing is exactly what you need! We provide the best care for your carpeting and you will be more than happy with the results of our professional services! What set us apart from other cleaning providers in the area are the competitive rates, the exquisite degree of expertise and customer service. We are used to justify our customers’ expectations and with every cleaning task, we give our best to surprise you in the most positive way! Our licensed and dependable cleaners will give your carpets a new lease of life using state of the art equipment and eco-friendly detergents, safe for your children and pets. With our service, you don’t need to worry about dust, grime and stains anymore! 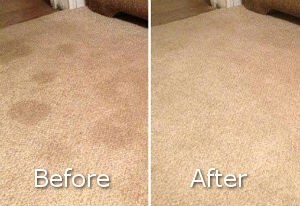 We will clean your carpeting thoroughly and will leave only fresh looks after the service is done! Get in touch with us for a free quote and remember customers’ satisfaction is our ultimate goal! 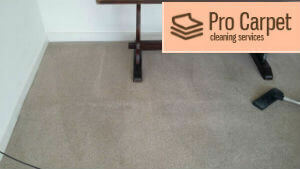 By choosing our carpet cleaning service, based in West Ealing, you’ll get more than a high-quality carpet clean. Our service is specially customised to suit each individual customer’s needs and schedule. We offer our services on the weekends, too. We are ready to come to your place and breathe new life into the interior with our carpet cleaning service! Our relationship with customers is based on honesty and punctuality. Because of this we provide free quotes to customers at all times. This way we can determine a fixed price beforehand and will stick to it when the time to pay comes. We will not apply any extra charges on the equipment we will use, it is included in the price! We have reasonable prices for the high quality of service that we provide! Your option is either to attempt cleaning your carpeting by yourself, or trusting our experienced and knowledgeable professionals! It is totally up to you! Our team of expertly trained cleaners will arrive at your home at the appointed time and commence work immediately. But first they will inspect the carpet to identify the type of stains as each stain demands a different approach and cleaning products. The pre-test is of crucial importance – the team will test the detergent on a small section of the carpet to avoid damaging it. What comes next is vacuuming and pre-grooming. Our innovative equipment is what enables us to clean your carpet, using minimal amount of water to insure it dries completely in about two hours. 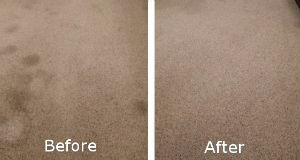 All of the stains, dirty particles and microbes will be positively removed from your carpets in no time! With the help of our professional chemicals-free cleaning products, we will make sure the condition of your carpet is only bettered. The colors will be brighter and the cleaned areas will be safer for you and the health of all family members! We won’t leave your home until we’re absolutely positive you’re fully satisfied. The cleaners will invite you to participate in the final inspection to evaluate the results. In case you don’t like what you see, they will readily repeat each step of the process for free. Booking our carpet cleaning service in W13 West Ealing is easy and convenient – all that’s required is to grab the phone and dial our number. We are at customers’ disposal seven days a week, ready to answer your questions and give you the information you need! So, if you live somewhere in West Ealing, or anywhere near Bayswater, Gunnersbury and Hammersmith you can always count on our professional carpet cleaning services! We will be happy to help you!